Father Frost (L) and his granddaughter, the Snow Maiden. New Year celebrations are popular all over the world, but in Russia they are the main national holiday. The festivities last for at least eight days, and sometimes as many as 20. 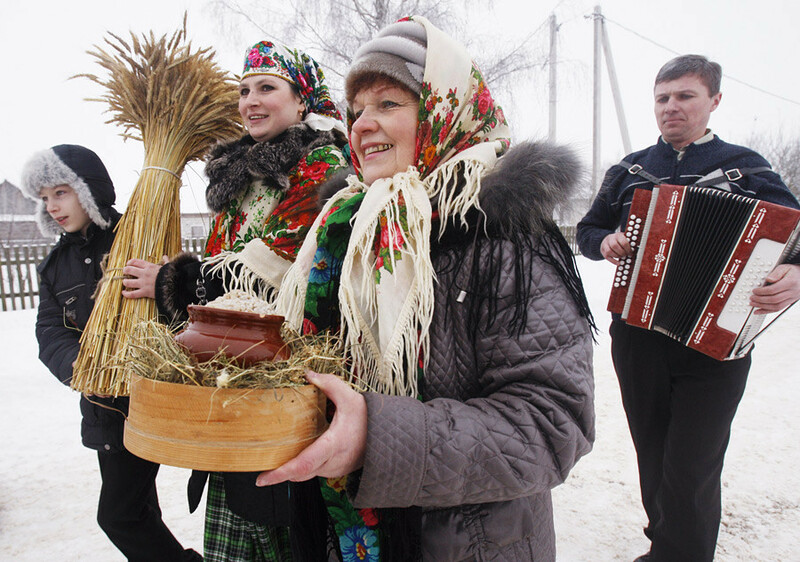 Russians' pagan ancestors celebrated Kolyada, a winter solstice holiday. Early Slavs celebrated it from December 25 to January 6, as if they knew already back then that centuries later these will become almost the exact dates marking the New Year festive season in modern Russia. Kolyada lasted 12 days, the ritual was presided over by 12 priests, and they predicted the future harvest using 12 sheaves of wheat and water from 12 wells. As you have probably guessed, the figure 12 had a special role to play in that holiday. After Russia adopted Christianity, thanks to Prince Vladimir in 988, the New Year was celebrated in accordance with the Julian calendar on March 1. That made sense, as the snow was starting to melt and flowers were starting to appear, marking the beginning of a new year. Many pagan rituals naturally morphed into Christian ones. Some of them remain present today. Some time in the late 14th century (historians differ on the exact date) the Orthodox Church moved the New Year holiday from March to September. The New Year as we know it know began to be celebrated in Russia in 1699, when Peter the Great ruled that things in Russia should be like they were in Europe. The decree Peter the Great issued on the occasion ordered using decorations made of pine, fir tree and juniper branches. In addition, Peter ordered his boyar, nobleman and merchant households to set off fireworks, while less well-off families were required to collect firewood and hay, put up tar barrels and make festive fires. However, while Peter was establishing New Year celebrations European style, Europe in the meantime switched from the Julian to the Gregorian calendar. That was how Russia was left almost two weeks behind, which lasted until 1919, when it switched to the modern calendar, too. That is why the New Year in Russia is now celebrated twice, first under the modern calendar and then 13 days later, under the old calendar. The origins of the tradition in Russia to decorate fir trees for the New Year are not clear. In Europe that tradition is not that old, either. With the arrival of Christianity, the ancient custom of decorating trees with ribbons was denounced as pagan. It was only in the early 17th century that the tradition to decorate New Year trees was revived in Alsace, Germany. One theory it that the custom was imported to Russia by Tsar Nicholas I's bride, Princess Charlotte, at the start of the 19th century. According to another theory, the tradition was brought into Russia by settlers from Germany in the 1840s. One way or another, the ritual came to Russia from Germany and became a universally accepted one. Nowhere in the world were so many fir trees sold before the New Year as in Russia. Almost every family has a fir tree, either a real or artificial. Yet, there was a period in Russian history when Christmas trees were banned, and that had nothing to do with the pagan origins of that custom. In 1916, during the First World War, the Holy Synod of the Russian Orthodox Church banned putting up fir trees since it was a German tradition. A year later the Bolshevik Revolution took place. Bolsheviks promoted atheism and opposed the church on all issues except one: They upheld the ban on New Year trees! Although if the church was against New Year trees as a tradition of the enemy in war, Bolsheviks were opposed to them as an attribute of the religious holiday of Christmas. It was only 10 year later, in 1928, that New Year trees were allowed again. A year later the whole of the state planned economy began to work for the sake of New Year trees. A plant making light bulbs switched to the production of baubles, while a Moscow factory making cables began to produce stars for decorating tree tops. Except that instead of the star of Bethlehem there where Soviet five-pointed stars. In the 1960s the Soviet Union began to mass produce nylon fir trees. On the plus side, they did not shed needles; on the minus side, they were somewhat lacking in the festive atmosphere department. New Year celebrations in Russia have one more difference: instead of Santa Claus, children in Russia expect their presents from Father Frost (Ded Moroz). That has to do with the secular nature of the holiday that was revived in 1928. 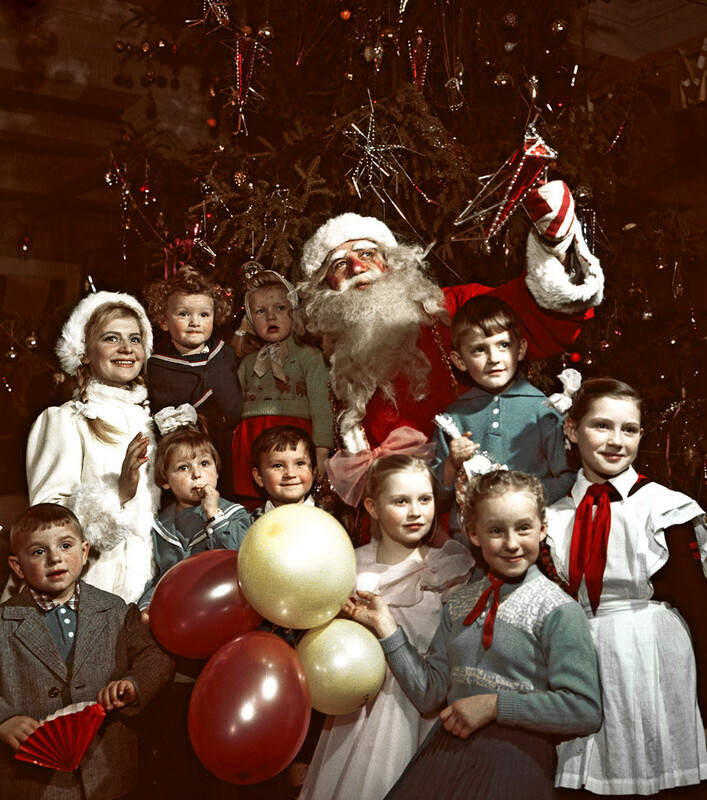 Instead of some saint or other, Russian children were encouraged to believe in a character from folk tales, Father Frost, and his granddaughter, the Snow Maiden (Snegurochka). From the outside, Father Frost is not that much different from Santa Claus, except that he may have a slightly longer beard and he speaks Russian. Russia was late to switch to the Gregorian calendar, which is why historically Russians celebrated two New Years, the one from December 31 to January 1 as the New Year and from January 13 to January 14 for the Old New Year. This tradition is gradually dying out, since the change of the calendars took place nearly 100 years ago, but on Old New Year, TV channels always show movies set around Christmas and New Year and repeat New Year night programs. 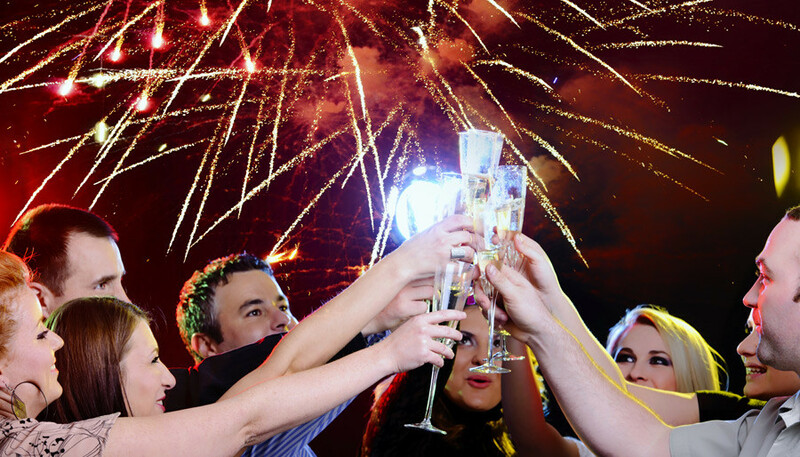 Old New Year makes it possible to stretch the New Year festive season to two weeks. One can start celebrating on December 25; then comes the New Year on January 1, then Russian Orthodox Christmas on January 7, followed by Old New Year on January 14. The New Year in Russia is now celebrated twice, first under the modern calendar and then 13 days later, under the old calendar. The things that help Russians last through this festive marathon are the iconic Russian Salad and Sovetskoye Shampanskoye (literally translated as Soviet Champagne). Inside Russia, the Russian Salad is known as the Olivier Salad and was for a long time considered to be originally imported from France. However, when the Iron Curtain fell and Russians began to travel abroad, including to France, they were surprised to discover that the French are unfamiliar with this concoction of a variety of ingredients dressed with mayonnaise. In fact, this salad was invented in 1860 by a Belgian chef, Lucien Olivier, working at a Moscow restaurant called the Hermitage. As for Sovetskoye Shampanskoye, the brand is hardly seen these days, for the obvious reason – the name champagne can now be applied only to specific sparkling wines produced in the Champagne region of France. If previously Russian manufacturers could occasionally break international conventions, they no longer do so: the brand name Sovetskoye Shampanskoye written in Latin script has disappeared altogether, although the Cyrillic equivalent vary rarely can still be seen on some labels. What is produced in Russia now is an ordinary sparkling wine.